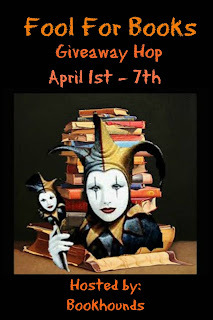 For this hop I'm giving away my review copy of Keeping Kate by Lauren Winder Farnsworth, which was an interesting twist on Jane Eyre. I rated it 4 stars, you can read my review here! Orphan Kate Evans is determined to make a life for herself on a Utah ranch, taking care of a little girl named Addie. But when she meets her irritable employer, Kate is forced to confront the past she's been running from—and face a future she never dreamed possible. This latter-day twist on the classic Jane Eyre is a romantic and gripping read. While it took some time for me to get into the book (I think because Kate spends the first chapter recounting her personal history in a detached manner) once the "irritable employer" Tyler makes his appearance, things started to get really interesting! Kate morphs from dry to feisty as she has a cause to champion- the little girl Addie that she's come to love and Tyler's treatment of her. The chemistry between Kate and Tyler is great as they spar and banter, fight then eventually give in to the mutual attraction. I enjoyed seeing the story lines match up with those from Jane Eyre, but there are also twists that bring some surprises. For a character that started out so unemotional, Kate becomes an emotional mess as she navigates for the first time the drama and heartbreak of romantic relationships. The friends she makes that support her through these turbulent times are quirky and likeable, and add more depth to Kate's new experience of friendship and loyalty. 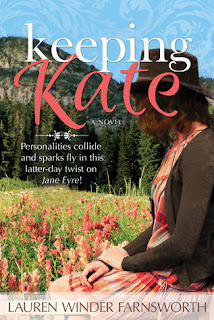 This book can be enjoyed by any lover of Christian fiction, however there are references to the Mormon faith since Kate is a member of The Church of Jesus Christ of Latter-day Saints.